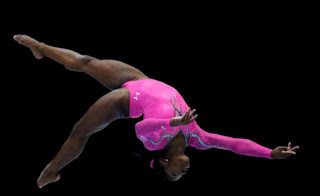 When you have a floor routine named after you (the Biles) that looks like this - a full-twisting double layout, tucked double-double and double-layout with a half twist - well then I'm not going to doubt you're a ninja. 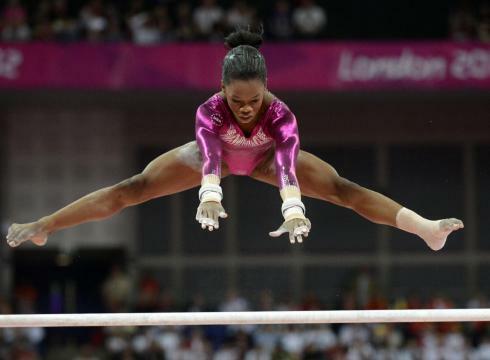 She is the first woman in history to win three consecutive world all-around gold medals. We can't wait to see her compete in Rio! Right behind Simone at the 2015 worlds was Gabby. Gabby is back to defend her Gold Medal win from 2012 in the All Around Team and in the All Around competition. Let's see if she can do it again! Have you seen her on the bars? Well it's a sight to see so don't miss it. Jordan Windle will attend his first Olympics this year on the dive team. His favorite dives are the 103B: a forward 1 ½ somersaults in the pike position and the 5253B: backward 2½ somersaults with 1½ twists. Whaaa? Also of note: Jordan's idle is Greg Louganis and Louganis is even mentoring the dive team for Rio 2016! Jordan's teammate David Boudia, defending gold medalist, is the one to beat. Will Jordan do it? This is going to be a fun one to watch! After reading about fencing in the dictionary he convinced his mother to let him try it out. And here he is, about to enter his second Olympics in Fencing. Daryl is the first US man to win a medal in saber at the Senior World Championships in 2015. We've got our eye on Daryl and his saber! Entering her fourth Olympics with two gold medals and one bronze, Mariel is a veteran and the most decorated US Fencer in history. 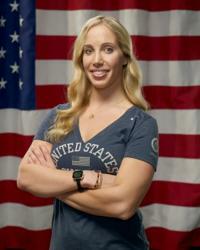 In 2004 she became the first U.S. fencer to win an Olympic gold medal in 100 years. We bow down to you, Mariel. Go Team USA! Office Ninja is cheering you all on from our humble cubicle back in the states.